When Tamsin Omond left university, she had no idea that within a year she would be up on the roofs of Parliament, breaking the law for her beliefs about climate change. The book is a candid account of her journey from student to rebel with a cause. 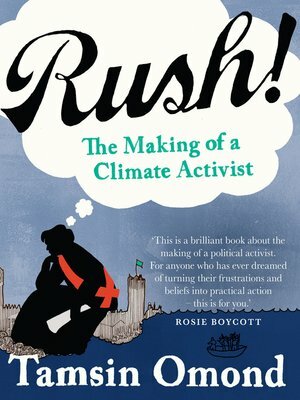 She takes her first steps in eco-utopia, joins Climate Camp and forms the activist group Climate Rush.